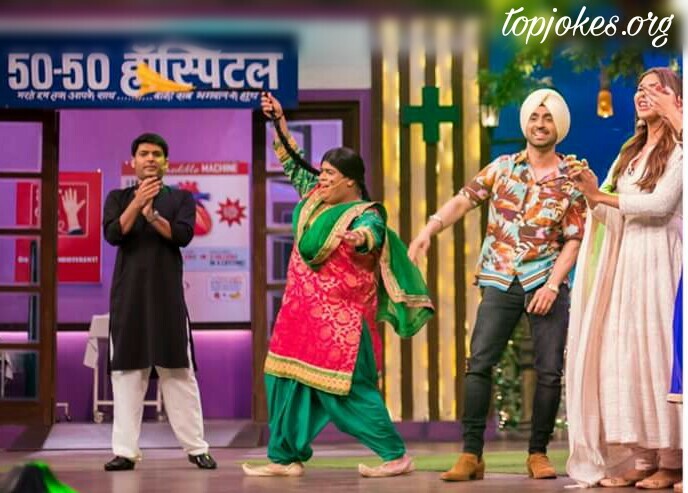 Super Singh Star Cast on The Kapil Sharma Show: Punjabi Super Star Diljit Dosanjh is shooting for The Kapil Sharma Show a comedy based show. He will seen prompting his upcoming movie "Super Singh" in TKSS this weekend with Sonam Bajwa(Playing lead role in the movie). The cast of Super Singh has been travelling to different cities and towns promoting their film, while the lead actor Diljit has also been busy with his live concerts. 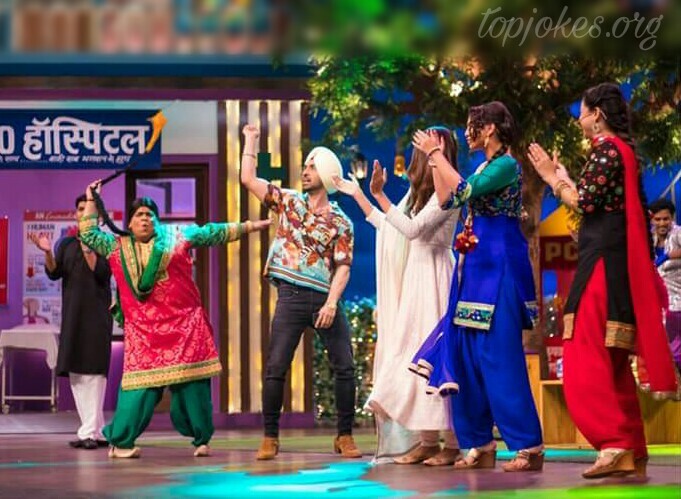 After entertaining his audience in Delhi and Chandigarh, Diljit is now witnessing in a comedy show The Kapil Sharma Show. Diljeet has seen doing bhangra in the show and entertaining with sung his song. He has been sharing photos from the sets of the show on his fb page account. He has been quite active on the social media site and keeps posting on it the entire day. 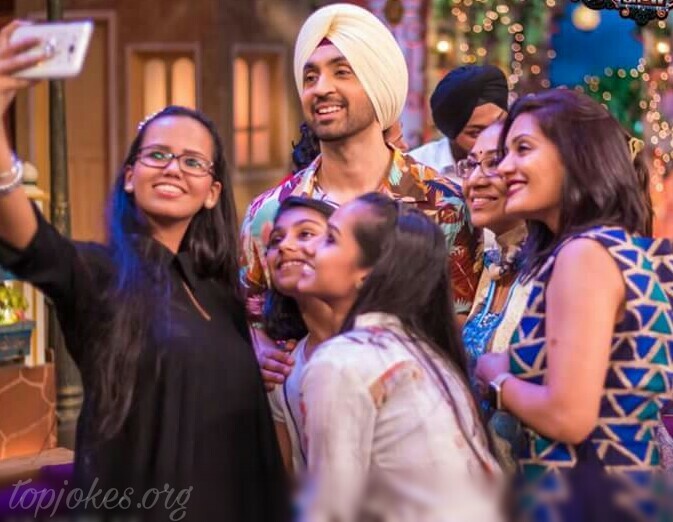 Fans of Diljit is seen taking selfie with Singer / Artists Diljit Dosanjh and enjoying this Show.